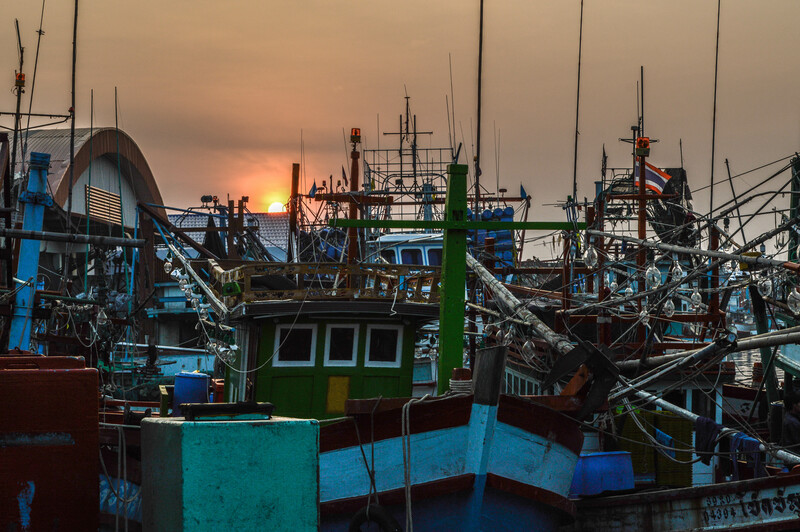 Touring my local area of Rayong, Thailand, near the ocean, I came across a local fishing village. 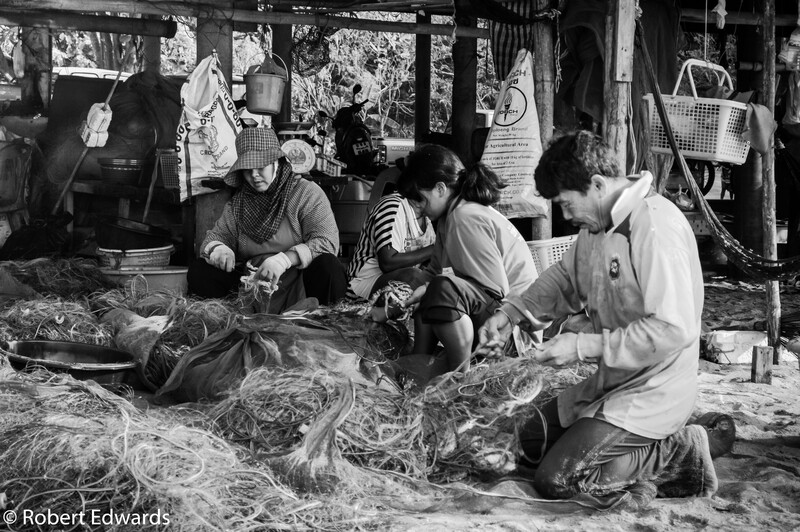 The people from this village were more than welcoming to me and my camera than the visit a couple of weeks ago to one of the main fishing ports in Thailand. As you can see from the following pictures. The village, I call it a village, but in fact it is a stretch of beach, with a number of small buildings which accommodate the working. 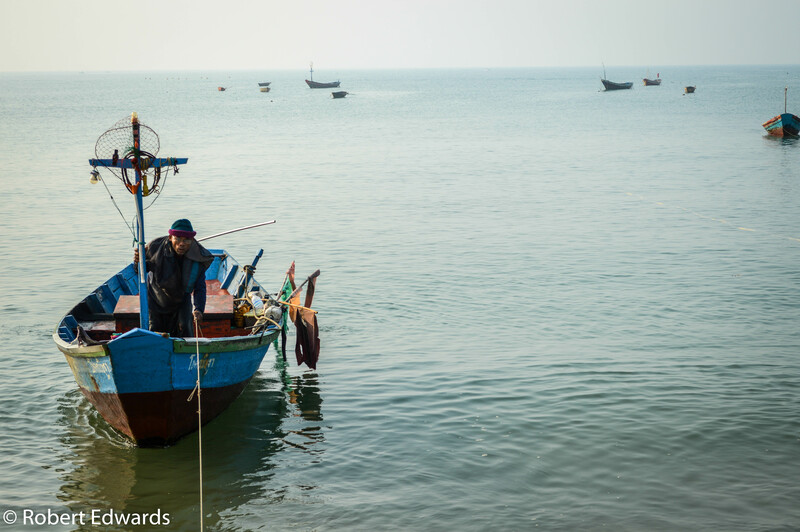 The boats are small but they are a vital part of the local economy and livelihood of the people who work the ocean. 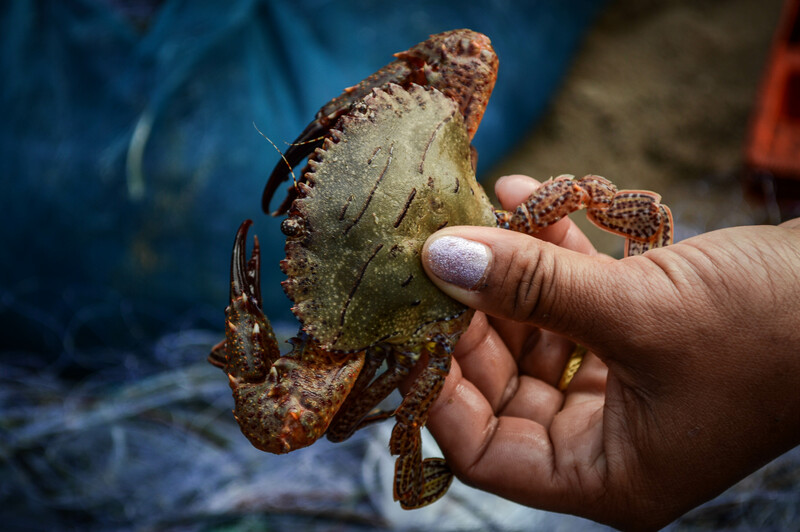 The catch was considerably small compared to the bigger port, but I felt more at ease with the people here, working either bringing in the night’s catch from their boats or the women and men extracting the fish from the nets. 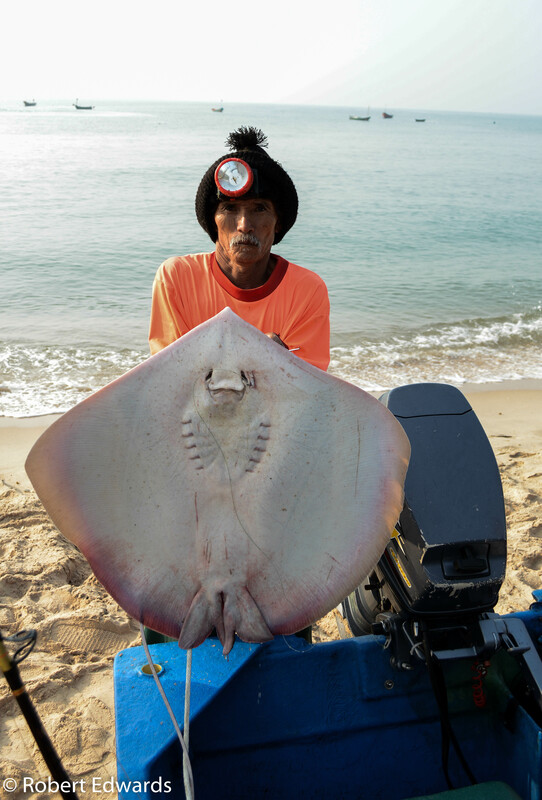 The area is well known for it’s crabs and the local seafood restaurants serve the local catch in their establishments. I heard a number of people shouting out as a boat approach the shore. Turning round the local people were making their way towards the boat. The fisherman on this boat used rod and line to catch their fish. 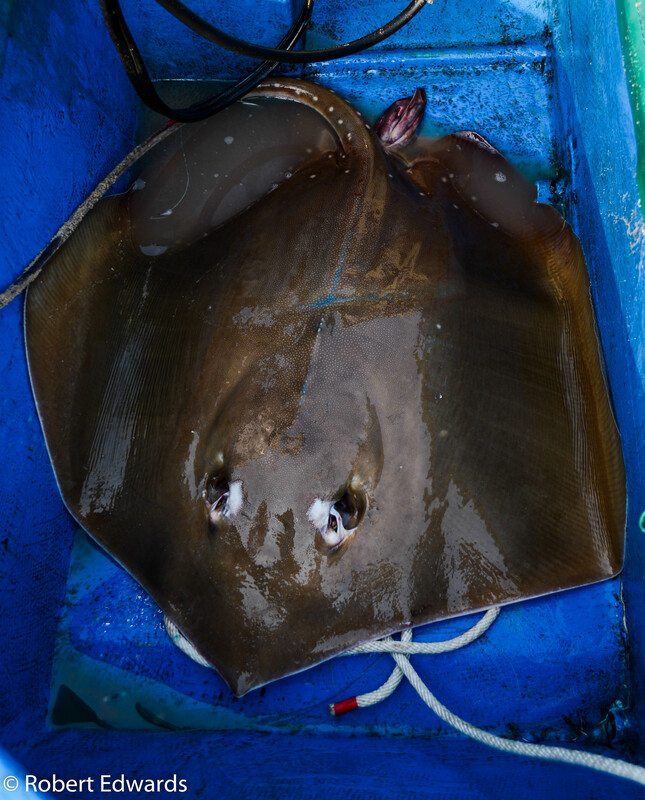 The fish caught varied compared to the net fishermen and when one of the guys pulled out the ray, my clicking finger started to work fast as they pulled the ray out of the boat. Although I have seen pictures, this is the first time I have seen the real deal. I could have spent a lot more time taking pictures of these wonderful people, who as I have already stated made me very welcome and didn’t mind me taking pictures while they were working. I will be back, I had a great time. Just leave you with one more picture. This is my favourite picture and what a cheeky face. No there is one more and this one is the best. Same girl but what a smile. I have always been a fan of the ocean and what it has to offer. I do like to snorkel, but never any further than the surface or perhaps a couple feet. So nothing to the extent of diving down to ocean floor. On the beach I just can’t keep still, I have to go and explore the rocky areas just in case I might find something to capture an of imagine with my camera. 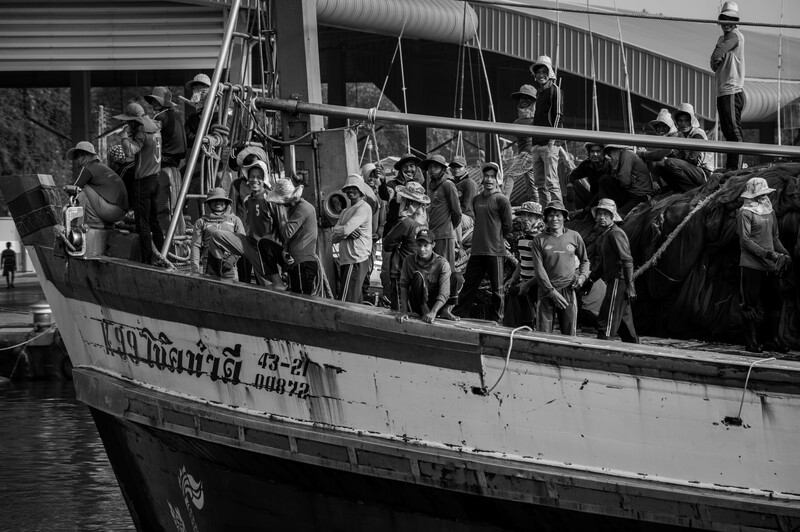 Just recently (please check out my post on Rayong Fishermen) I have been into taking pictures of fishing boats and the people who work these vessels in order to make a living. In the picture below I have named “Expression” I saw the boat returning to the port and noticed the people on board, with their expressions of laughter and some of exhaustion. Although I have never been out to sea with a boat of this nature, one can see that they are relieved to back to shore after, maybe a night or even more of toil on the ocean waves. For some fishermen the day is not over. Unloading the catch, and mending the nets in preparation for the returning journey to catch more fish for the ever waiting public to enjoy. 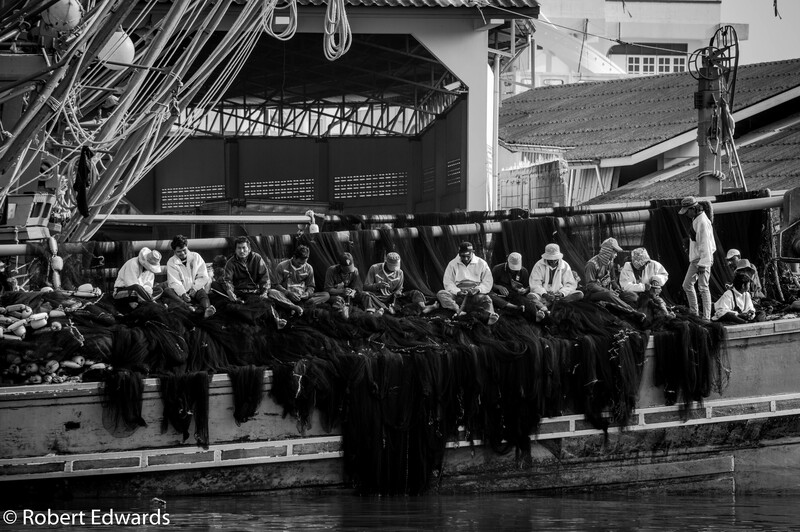 So when you are tucking into your fish for dinner, spare a thought for the fishermen who go out to bring your dinner. On Sunday I decided to travel to the nearby town of Rayong, the town is located in the Eastern Seaboard part of Thailand. So at 5.30am I got out of bed, got the gear together and off to Rayong. 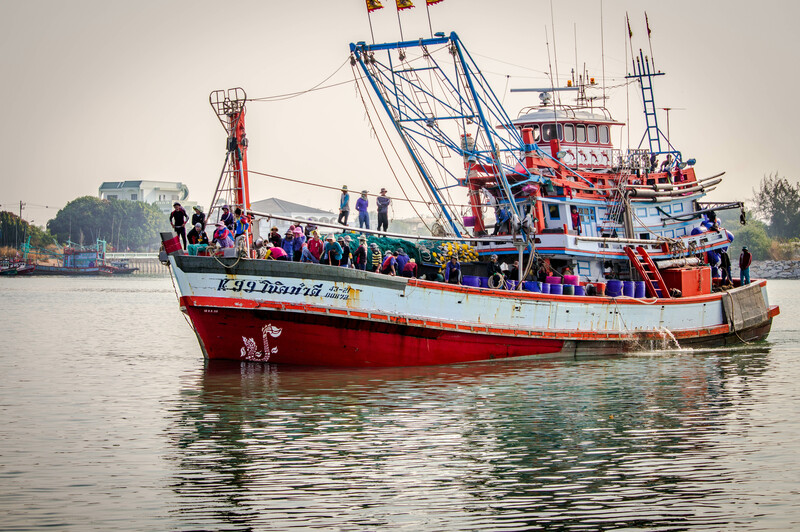 The mission was to take pictures of the fishing boats arriving with their daily catch and then off to the fish market to see the action unfold. It was still dark when I arrive at the port, but while i was looking around the beach area I stumbled on another photographer who was out with his camera’s. I had a quick chat, asking what time the market started it’s auction of the fish. What surprised me he wasn’t sure, being Thai and from the Rayong area I would have thought he would have had an idea. Anyways it is always very nice to meet another photographer and exchange ideas. Moving on to the port and the fish markets was the next point. With the boats coming in to the dock, the hustle and bustle started. 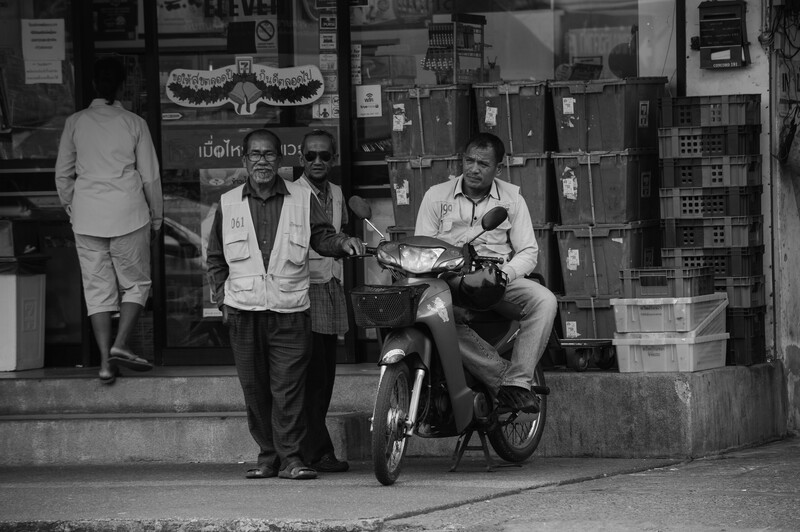 The Thai people are very welcoming with a person with a camera, always ready to chat and share a joke or two. Once into shooting the atmosphere was electric with the bidding and joking go on with all the people. I then noticed that the guy I was talking to early on had arrived. He was amazed at the whole operation. For me the whole experience was fantastic and of course a connection made with a fellow photographer. 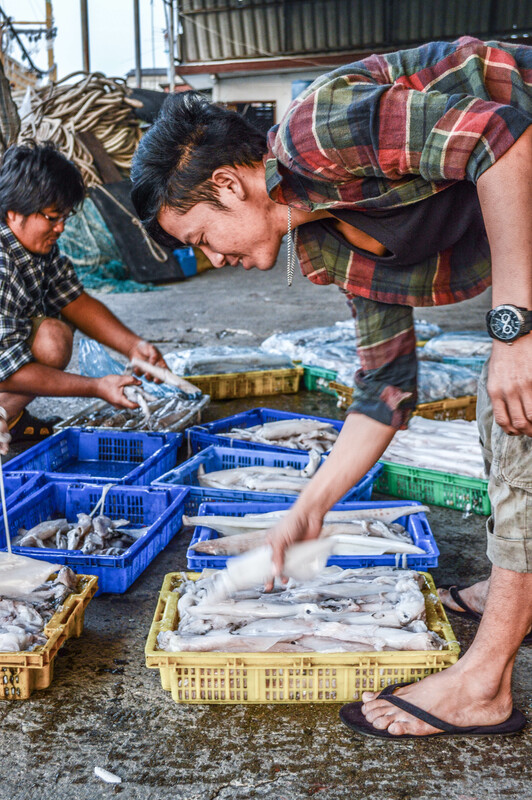 The number of people involved in the fishing port process was enormous. However, the wages (salary) of these workers is very low for the amount of hours they have to do to earn any money. 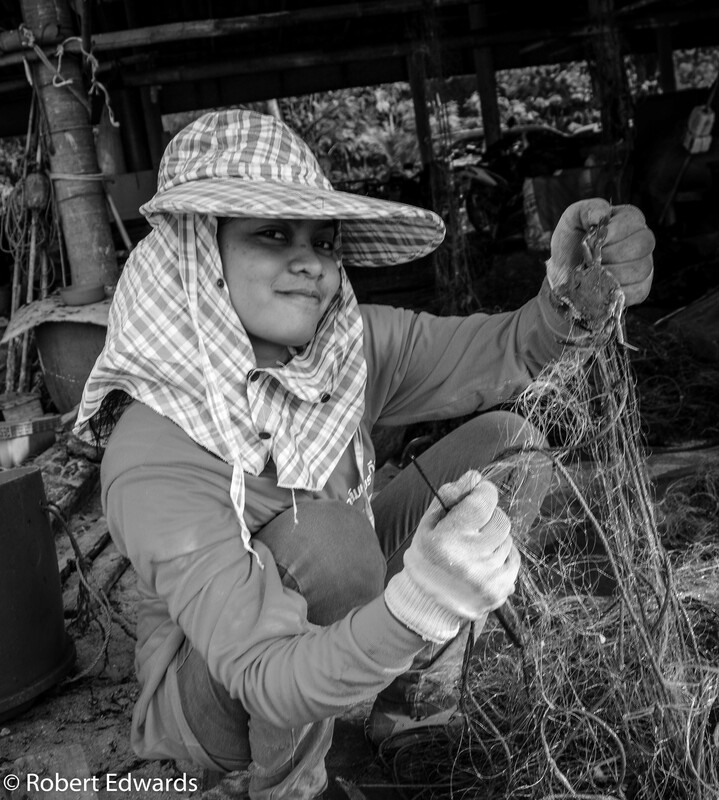 With the minimum pay per day at 300baht ($9) the people really work hard to put food on the table for their families. Maybe fruit for another blog on the pay for Thai workers. Anyways lets not get into this issue with this blog, lets stay on track. 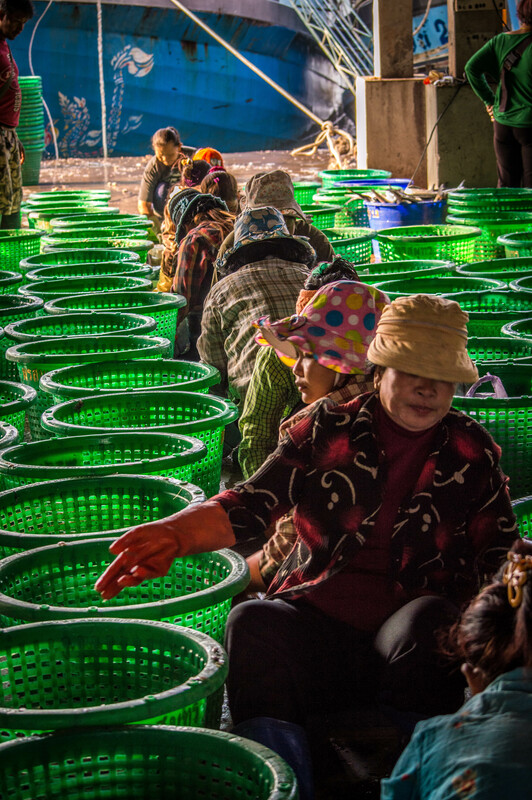 Wherever you are in the world when you get the chance to go to a fish market, the photo opportunities are great. I enjoyed every minute and you never know one or two connections can be made. To finish a few imagines from the morning. 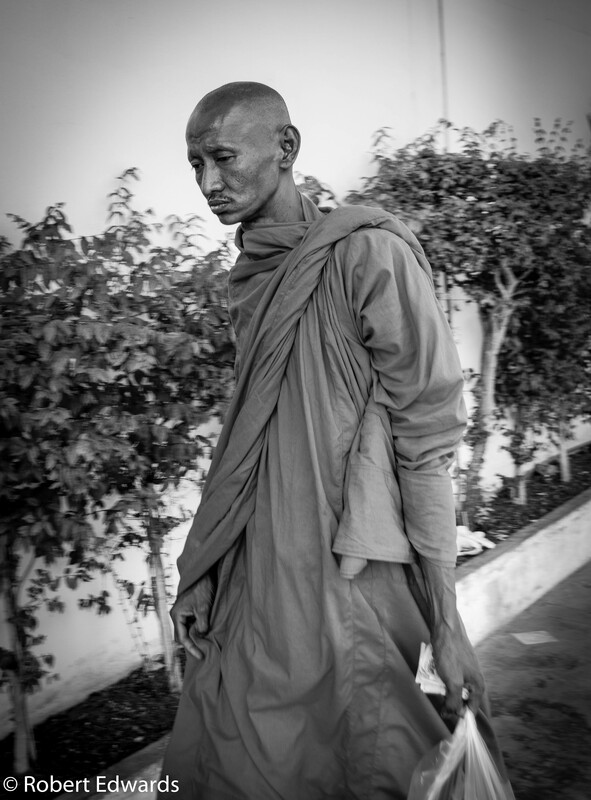 If you have read my blog already, I am into Street Photography and portraits of people. Looking at a number of blogs and web sites, I have gained inspiration from what I have seen in the work that the owners of sites have put in to make their site personal and for good viewing. With this thought I would like to show a number of images that I have captured for you to study and make comments. Through the comments I hope to improve my work. Maybe one day I could become as good as the work of others. I am a teacher, well I would actually like to use the term educator. Through my classes I try to pass on knowledge to my students in the hope that they will try to make the world a better place for the future. One of my favourite sayings to my students is “don’t worry if you make mistakes, you will learn from these”. So please help me become a better photographer, please comment, but helpful comments. Humour sometimes plays a big part in photography, so check out the captions of a few of the pictures. If the response is good, maybe I will feature this as a weekly blog. We take photographs for what reason? For professional photographers it’s their job and they get paid for their imagines. The same as any other person who works, it’s their job. That doesn’t mean to say pro photographers always think about the money when out in the field, but no imagines no pay. What does it mean to the enthusiast to capture imagines? There are a number of ideas that consistently appear on web sites and blogs. These range from capturing memories to improving as a photographer. 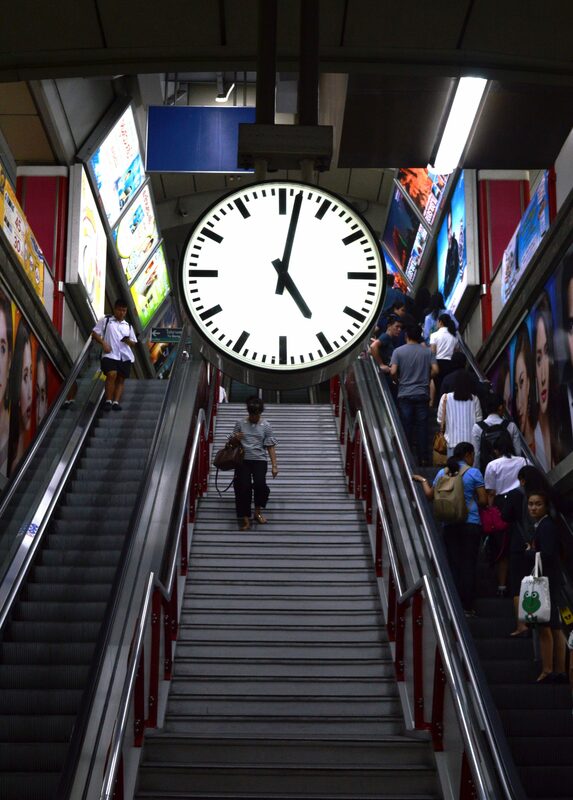 The camera is the only tool that stops time. For that moment in time you have captured that brief moment for eternity. You have made history with one press of the shutter button. As time goes by you can dig out the print or go through files from your hard drive or wherever you store your imagines and recall those moments. Isn’t that fantastic? You are able to go back in time. Street Photography is an history maker. Recalling the time when that building was there, when that street had trees down the road side. Photojournalism captures imagines of the war for the world to view. These are more ideas of why we take photographs. The camera is a powerful tool it can be used to change the world, but it can also be used as a weapon. We has photographers hold this power in our hands and we need to be careful in what we capture. For me the new enthusiast, or should I say born again photographer. I see myself as a Street Photographer going out and making connections with people or interacting with the moment. The picture I tilted “I’m Cool” I took during one of those times when I made a connection. The man in the picture is a Thai man on the street selling lottery tickets. I can speak Thai just enough to get by, so I stopped and started talking to him and it went from there. Great guy and what a pose, just the job. Same again this Thai lady selling lottery tickets on the street. I looked at her and she started to smile and her reaction says it all. Another very nice person with a great smile. These are the people I like to capture, real down to earth people working to make ends meet. There are numerous reason to take pictures. What ever reason just get out there with your camera.